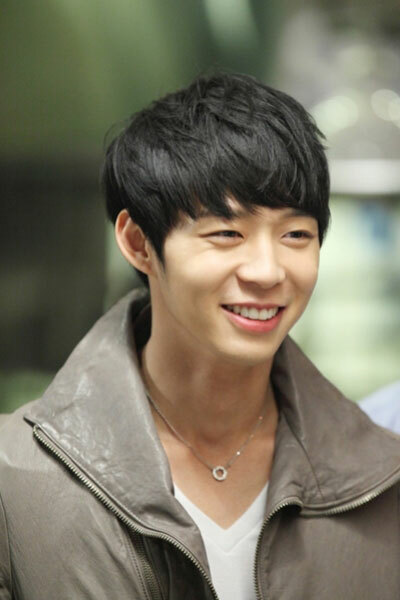 Park Yoochun was named as the top hero in drama series that is most heart-throbbing this spring. From May 1st, 2012 to May 15th, 2012, Lamar Clinic conducted the survey among 672 female customers, and was releasing the result of the survey. Park Yoochun who is playing the role of Crown Prince Lee Gak in SBS drama “Rooftop Prince” won the highest percentage of 34% (228 votes). Following closely behind Park Yoochun is Lee Seung Gi who is starring in MBC drama “The King 2 Hearts“, ranking at second place with 32% (215 persons) of votes. Lee Je Hoon who is playing the roles of young Seung Min and Jung Jae Hyuk in movie “Architecture 101” and SBS drama “Fashion King” respectively to attack big and small screens simultaneously, ranked at third position with 23% (155 votes) of support. And Jang Geun Suk who plays dual-role of Seo In Ha in 70s and Seo Joon in 2012 in KBS drama “Love Rain” ranked at forth place with 8% (50 votes) of support. People who participated in the survey said, “Every time seeing the love behavior of Lee Gak to Park Ha, the heart will flutter,” “Every time watching ‘Rooftop Prince’, always wanted to be Park Ha,” revealing the love for Park Yoochun.